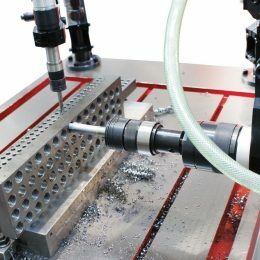 Thread Tapping Machines | UK Supplier, Rencol Automation Ltd.
An electric thread tapping machines able to tap from M3 up to M42. Features a quick change collet with an overload clutch, and powerful servo motor. Operates in manual or programmable automatic modes. 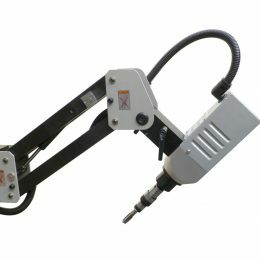 A pneumatic thread tapping machine able to tap from M3 up to M33. Features a quick change collet with an overload clutch, and an air-treatment unit to filter and lubricate the compressed air. Suitable for blind-holes and through-holes.